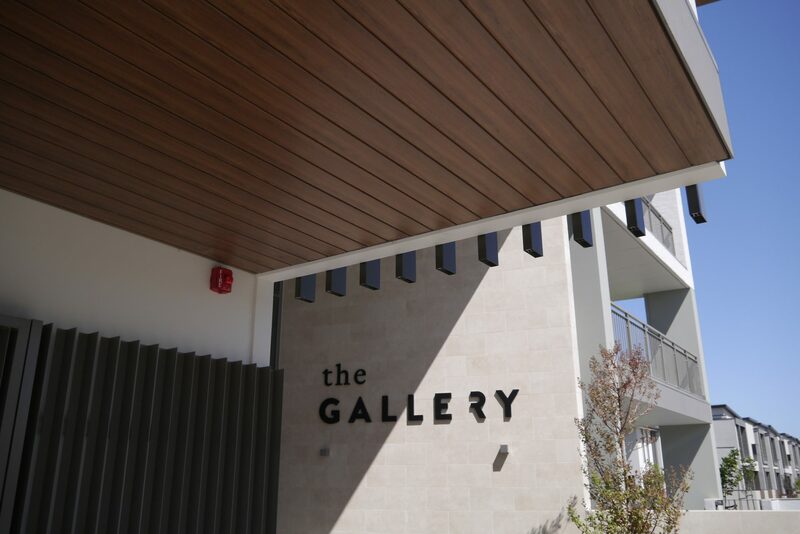 The Gallery Apartments are situated in the “West” development at West Lakes in South Australia. 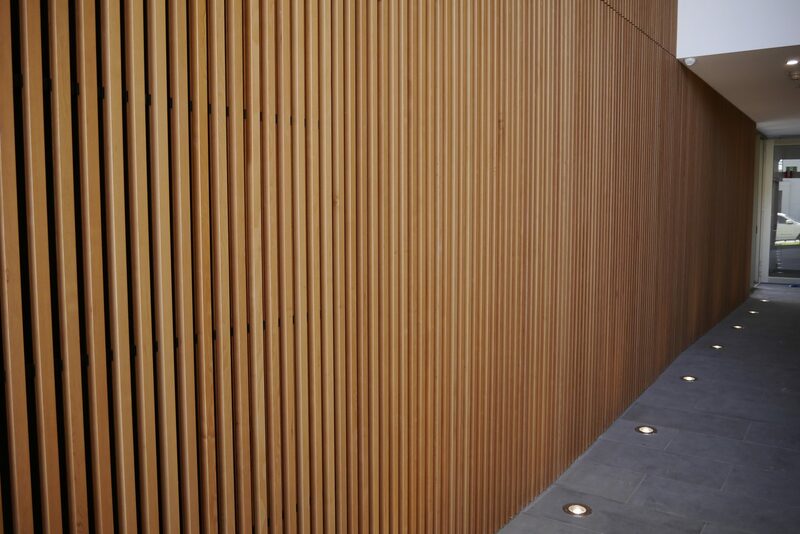 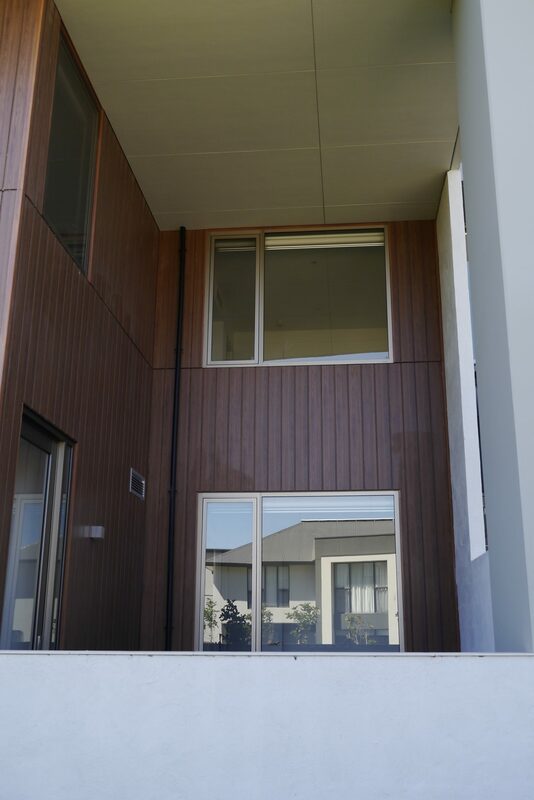 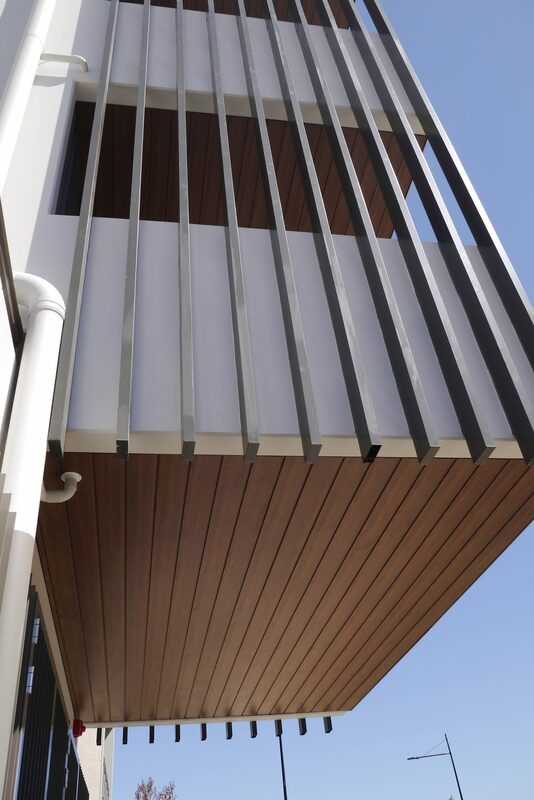 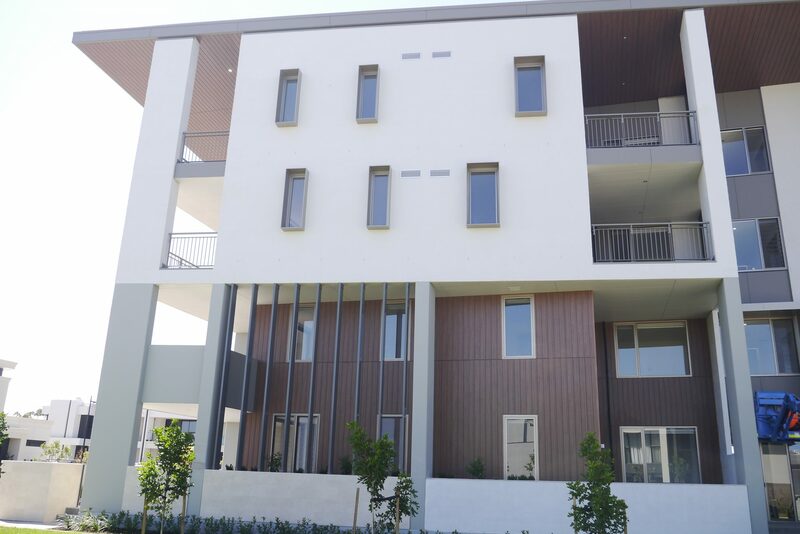 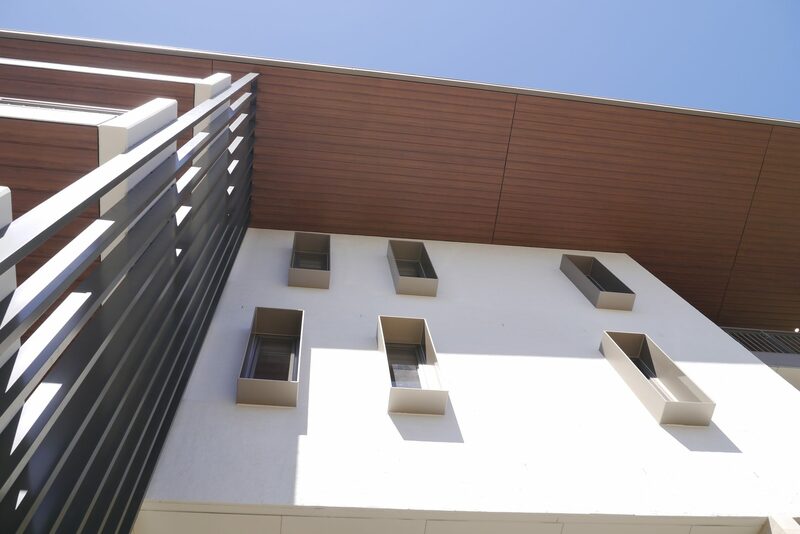 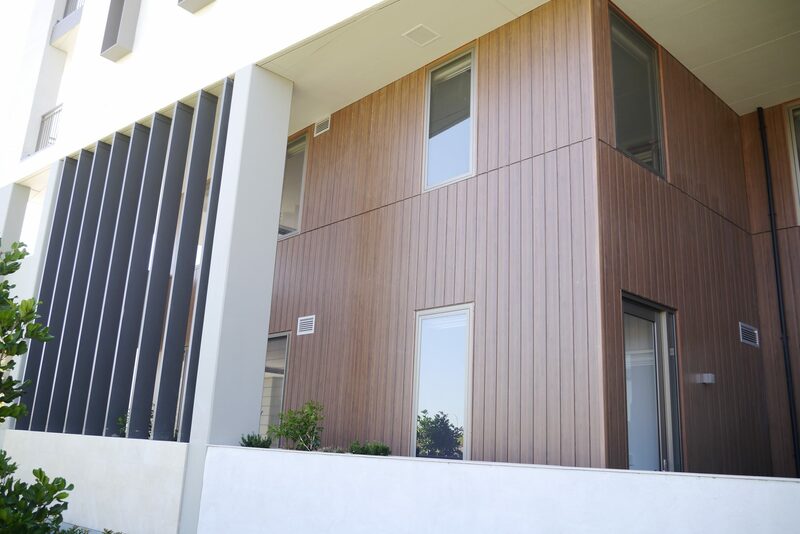 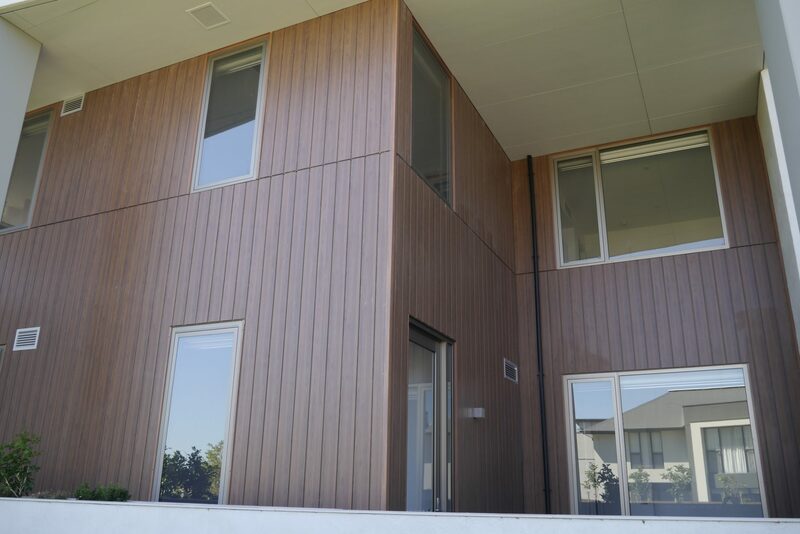 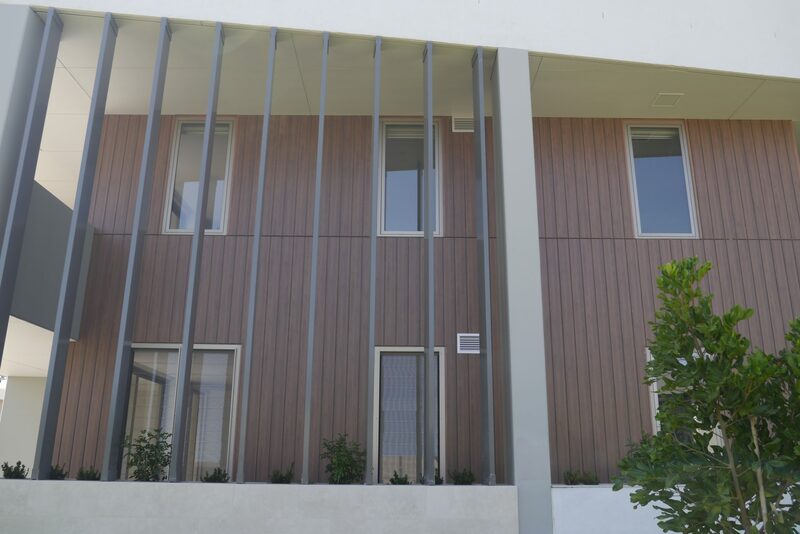 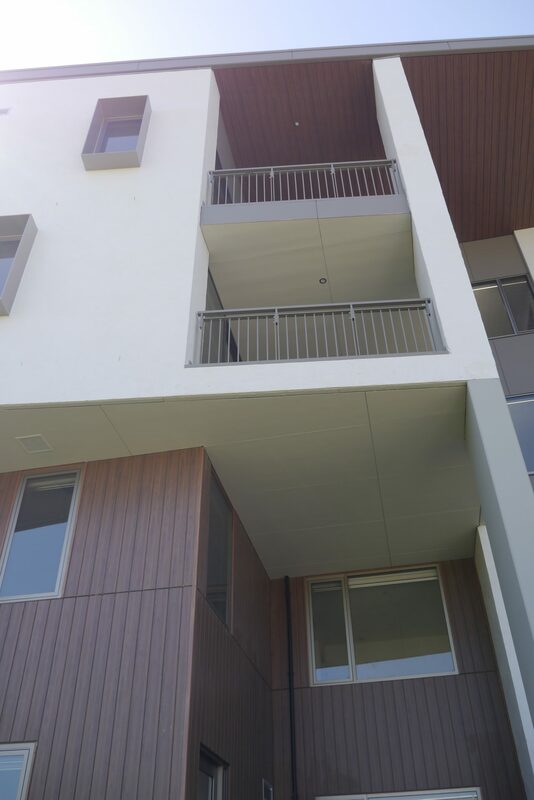 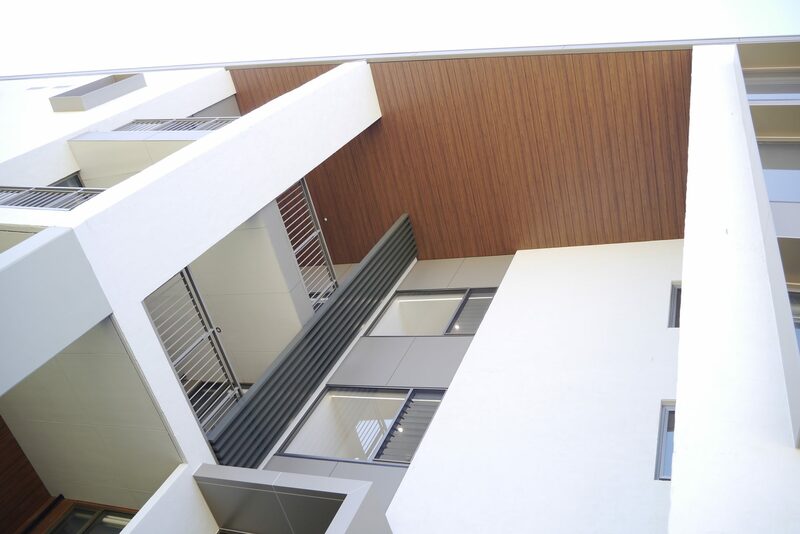 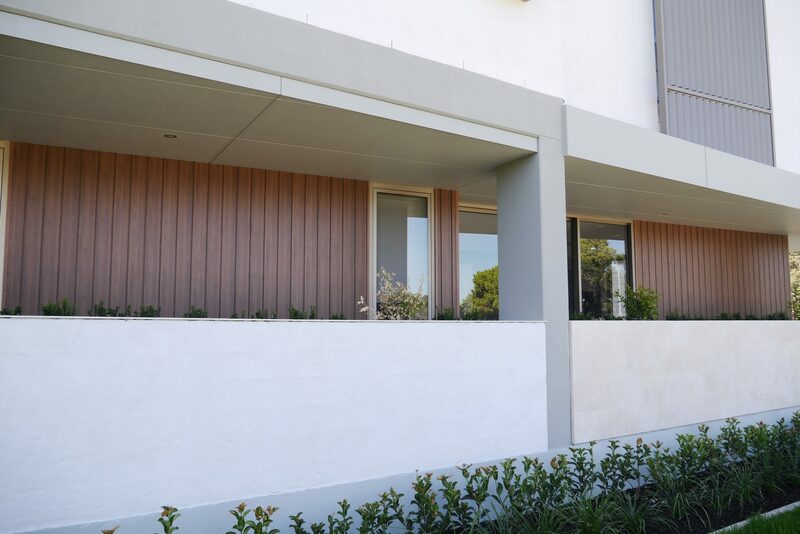 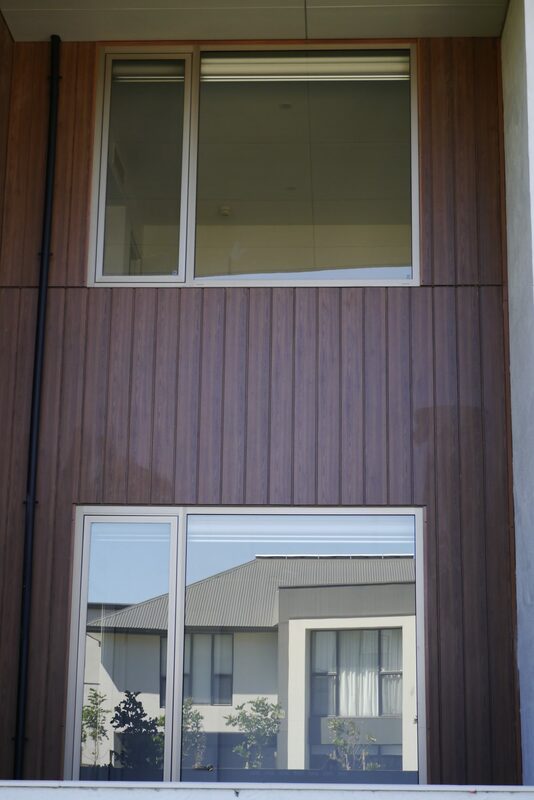 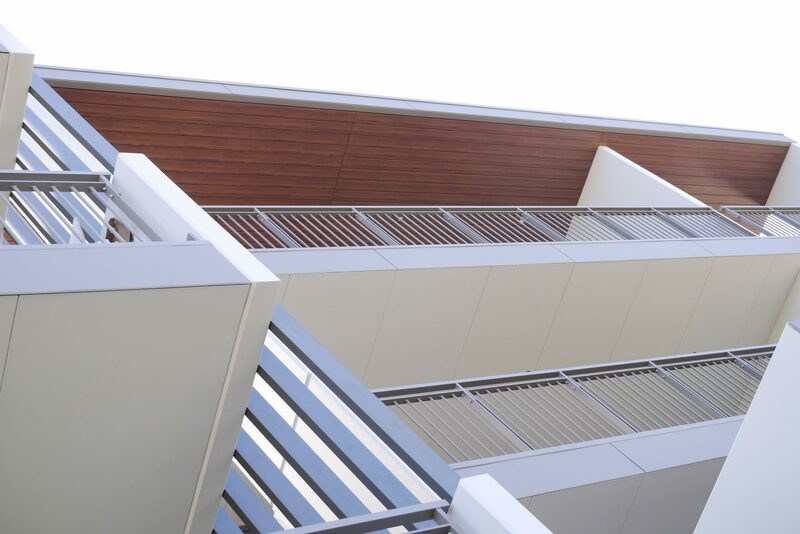 The project extensively used the Euro Selekta composite cladding material on the exterior of the building on walls and soffit linings where a timber lining was preferred but without the need for ongoing maintenance, while also passing the stringent fire ratings requirements for exterior claddings. 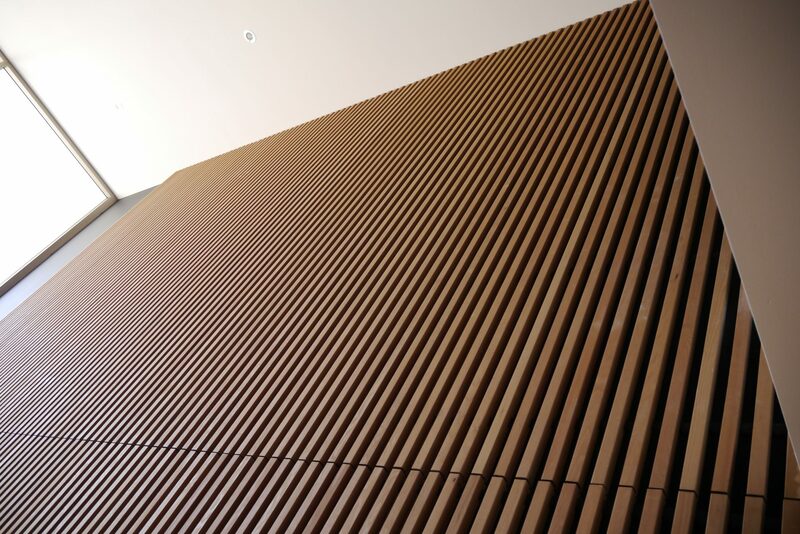 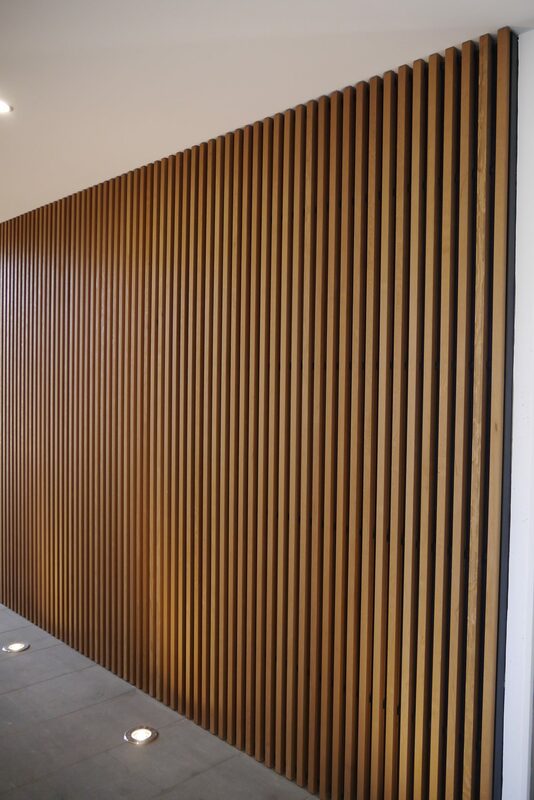 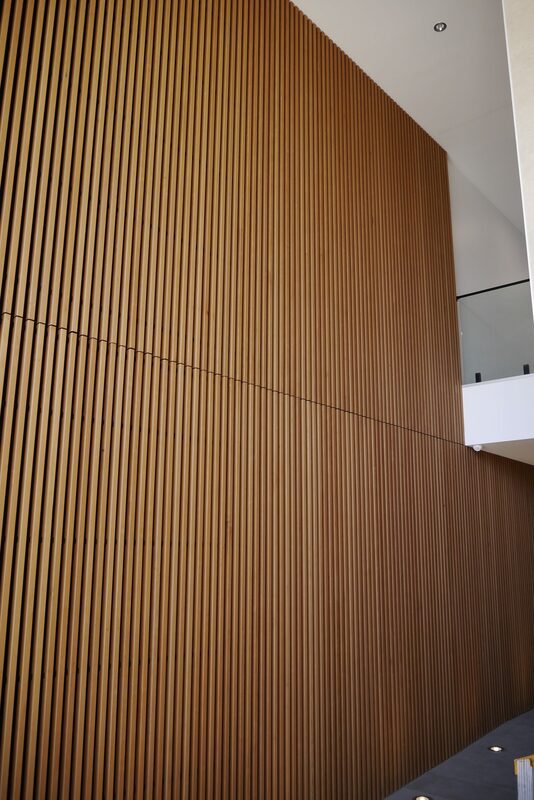 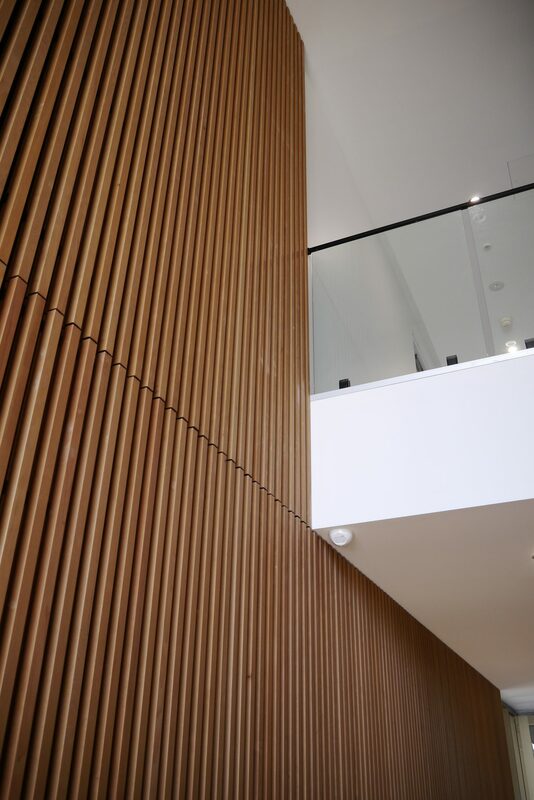 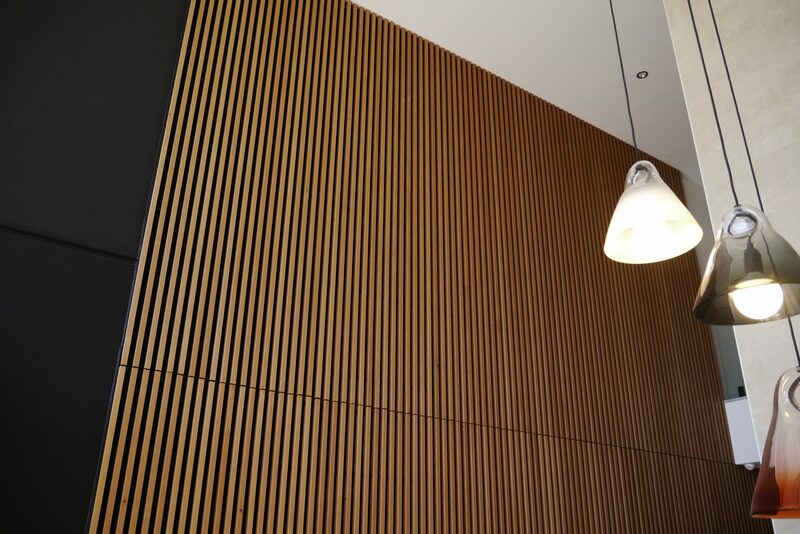 Internally, a spectacular feature wall was constructed using the Austratus fin system, backed with an acoustic lining to control the noise in the main lobby area.